As Regular Season Play Winds down, HappyOrNotTM added to Roster! September 6, 2018: With regular season play coming to an end, the A’s have the best post All-Star break record in baseball and are in contention for a wild-card spot in the playoffs. Nothing makes for happier Fans than winning on the field! With the addition of 20 in-stadium HappyOrNot Terminals set to capture real-time feedback, Fans will be winning off the field too. 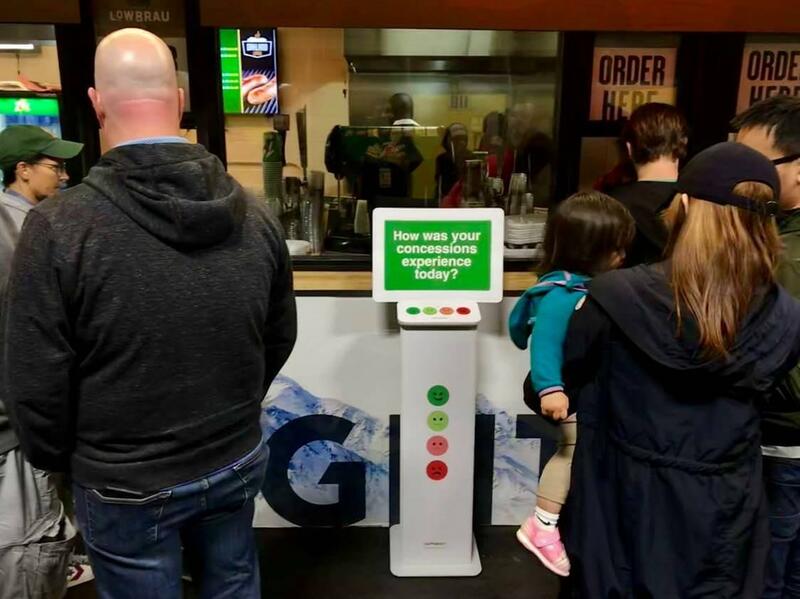 By simply touching a button, fans at the Oakland Coliseum will rate their level of satisfaction following interactions at concession stands, restrooms and at entries and exits throughout the venue by choosing one of four Smileys (very happy, pretty happy, pretty unhappy, or very unhappy). With real-time customer feedback, different stakeholders can pinpoint and address service performance issues instantly, avoiding escalation, keeping fans happy and coming back. The Oakland A’s are joining a growing number of athletic facilities partnering with HappyOrNot to measure satisfaction and improve the overall Fan Experience. HappyOrNot was founded by Heikki Väänäen and Ville Levaniemi. The company has more than 4,000 clients in 117 countries. Clients include Microsoft, McDonald’s, London’s Heathrow Airport, LinkedIn and Levi’s Stadium, the home of the San Francisco 49ers. HappyOrNot is considered the global leader in instant customer and employee satisfaction reporting. HappyOrNot assists companies in improving customer experience, relationships and engagement across all business sectors.